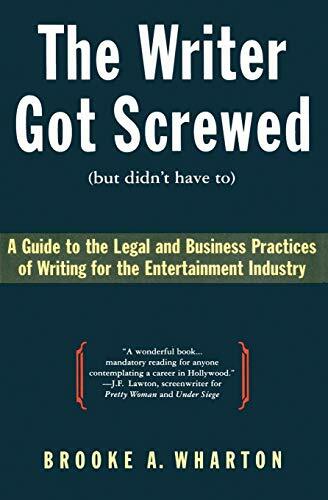 Not a romantic book about Polish Starlets, but a tough look at the legal side of screenwriting, from contracts to copyright issues. Wharton decodes legal jargon, explains how to protect creative work, shows how to read between the lines of a contract, and advises how to avoid getting sued and screwed along the way. Useful resources, including a list of agencies, competitions, fellowships, internships, and legal organizations. Incudes sample contracts! BUY THIS BOOK!